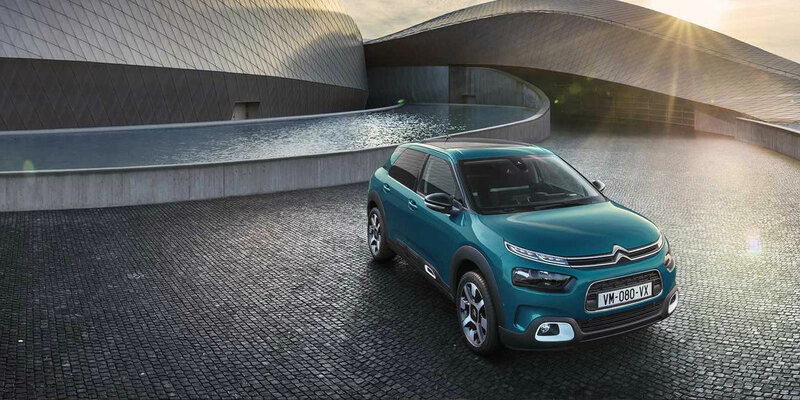 We are thrilled to be able to take orders on the new Citroën C4 Cactus Hatch here at Motorparks. After all, this is a vehicle which instantly stands out from the crowd with its dynamic and elegant design. It's also a hatchback that delivers unbelievable levels of comfort once you take the vehicle out for a drive, while packing in 12 handy driver assistance systems. The new Citroën C4 Cactus Cactus, the ultra-comfortable hatchback is available now from Motorparks Citroën and Oldham Motors Citroën. The new Citroën C4 Cactus Hatch has been manufactured on a lightweight and efficient platform and with the latest-generation engines, which includes award-winning PureTech petrol engines and BlueHDi diesel engines which comply with the Euro 6 standard on the reduction of NOx emissions and fuel consumption. Suspension with Progressive Hydraulic Cushions® is a feature that filters and absorbs both minor and major surface imperfections too. As a result, you'll feel as though you're flying over the road when driving the new C4 Cactus Hatch from A to B. You're met with an organic and fluid design when checking out the exterior of the new Citroën C4 Cactus Hatch. Step inside this hatchback and an exceptionally comfortable interior awaits you. What is there not to love when it comes to the exterior design of the new C4 Cactus Hatch? The car's front end draws attention with the use of LED daytime running lights, a body-coloured bumper complete with side scoops and sharp headlights which are underscored by gloss black inserts. Even when looking at this hatchback from its rear, you're sure to appreciate the car's smooth and pure body-coloured tailgate. There're also 3D LED lights, which are slim and chiselled in their setup to give the design a contemporary touch. You are presented with unrivalled ride comfort when heading inside the new C4 Cactus Hatch. This is because this is the first Citroën model in the world to be fitted with Advanced Comfort Seats, as well as the first model across Europe to be setup with suspension with Progressive Hydraulic Cushions®. Softness and support are assured throughout your entire time behind the wheel of this hatchback too, due to an innovative interior design which combines high-density foam in the seat centre with a thick textured foam on the surface. You get added reassurance and will feel safer when driving the new Citroën C4 Cactus Hatch, as the car is equipped with 12 driver assistance systems. Both a reversing camera and park assist system will take the stress out of getting into even a tight space, for instance, while an active safety brake, blind spot monitoring feature and lane departure warning system all function to keep you away from collisions with other road users. A wide variety of accessories can be added to your new Citroën C4 Cactus Hatch to make it personal to you if you decide to make this hatchback your next set of wheels. Extra front and rear parking assistance features will help you manoeuvre with ease, for example, while sporty wheel trims will enable your vehicle to stand out even further in the crowd. Contact us online if you want to learn more about how the new C4 Cactus Hatch can be personalised, as well as for further information about this car. Rather see the vehicle up close? Not a problem, simply drop by our Oldham Citroën dealership in Greater Manchester.